People with aphasia and their families should have a voice in the research that is about them. Project BRIDGE is a unique project that is giving people with aphasia, their families, clinicians, and researchers the tools to collaborate on research teams. Everything we learn about collaboration in this project can help the estimated 14% of the U.S. population with communication disabilities, and the roughly 8% of Americans with limited English. You can participate by completing our webinars and attending our conference. 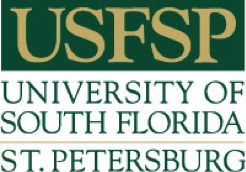 Researchers Dr. Alejandro Brice and Dr. Jackie Hinckley with the University of South Florida St. Petersburg and Voices of Hope for Aphasia were awarded a $235,000 conference program grant that will bring together people with aphasia, their families, aphasia clinicians, and researchers. provide follow-up to the research teams to facilitate their interaction and productivity. Everything we learn about collaboration in this project can help the estimated 14% of the U.S. population with communication disabilities, and the roughly 8% of Americans with limited English. You can participate by completing our webinars and attending our conference. People with aphasia and their families, and aphasia researchers, who complete the webinar series will be eligible for a travel stipend to cover travel costs to attend the conference. Day 1: Panel Discussion: Audrey Holland, Ph.D.
Day 1: Panel Discussion: Kathryn Yorkston, Ph.D. This project is funded through a Patient-Centered Outcomes Research institute (PCORI) Eugene Washington PCORI Engagement Award (Contract # EAIN-7111).